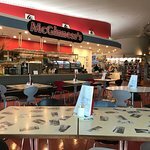 Description: McGinness’ Restaurant is a licensed restaurant within Qantas Founders Museum in Longreach. It has an aviation theme to compliment the museum’s mission of telling the story of Qantas Airways Ltd. With model aircraft flying overhead, views of the Longreach runway, National Heritage Listed Qantas Hangar and Catalina; customers experience a unique atmosphere while enjoying their meal. The restaurant, which is open year round, caters for visitors, touring groups, locals and functions from small conferences to a fine dining experience. 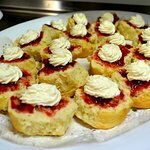 Catering to all dietary requirements with affordable prices and friendly staff, McGinness’ Restaurant is an eating experience not to be missed. 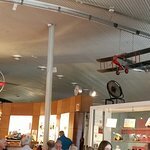 It was great to be able to sit and enjoy good food whilst visiting the Qantas Founders Museum. Can recommend the ambiance and food. Thanks for the review Jill H. We hope you enjoyed the rest of your time in Outback Queensland. 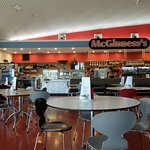 The McGinness is a great place to have breakfast in Longreach, the meals are nice and the staff are very friendly. Situated in the main museum building around to your right after you walk in the front door. The prices are very reasonable and love the after dinner mint you get with your coffee. Dreamliner17 thank you for your review. Great to hear you enjoyed your breakfast. Did you notice the Qantas theming in the restaurant? The tables have old Qantas photos on them, many of the meals are served on Qantas crockery, the model aircraft flying overhead and the aviation themed menu from "McGinness breakfast" to "707 Beef Burger". 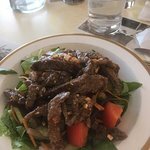 dave548 thank you for visiting our restaurant. Yes McGinness Restaurant is enjoyed by visitors and locals alike. 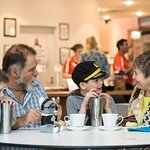 Situated in Qantas Founders Museum (which is a not for profit community organisation), many locals enjoy visiting the restaurant as many have been involved in the establishment and running of the museum Thank you for your review. I found this after I grabbed pictures of the aircraft at the QANTAS Museum. They made me a great mocha, complete with my special requirements, in no time flat. I spent a pleasant 45 minutes reading in this quiet cafe. Thank you for your review and we are glad you found us. 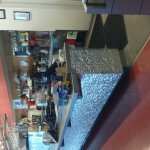 If our customers have special dietary or coffee requirements, we will do our best to accommodate them. 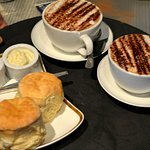 Our restaurant is often a favourite for people to have a quiet coffee and enjoy the view. 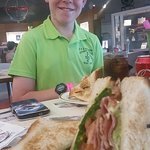 After a wonderful morning at the Stockman’s hall of fame, we decided to cross the road to the Qantas Founders Museum for a quick lunch before exploring the museum. We are so glad we did. The McGinness Restaurant offered a variety of meals. From the roast of the day to burgers, this place delivered. The milk shakes were well flavoured and the chef great. The food was tasty and plentiful. Prices were reasonable and the drinks inexpensive. A very pleasant surprise in an unexpected place. Thank you for your review and we are glad you crossed the road too! Our restaurant tries to provide a variety of meal and drink options to suit all needs. Our milkshakes are a favourite especially as they are served in the milkshake containers - making them a large serve of milkshake goodness! Been to McGinness' Restaurant? Share your experiences!